In 2006, in a move that surprised most of our friends and family, we began a new adventure in our lives. After graduating from college and immediately beginning to work while raising a family, it was time to try something new. 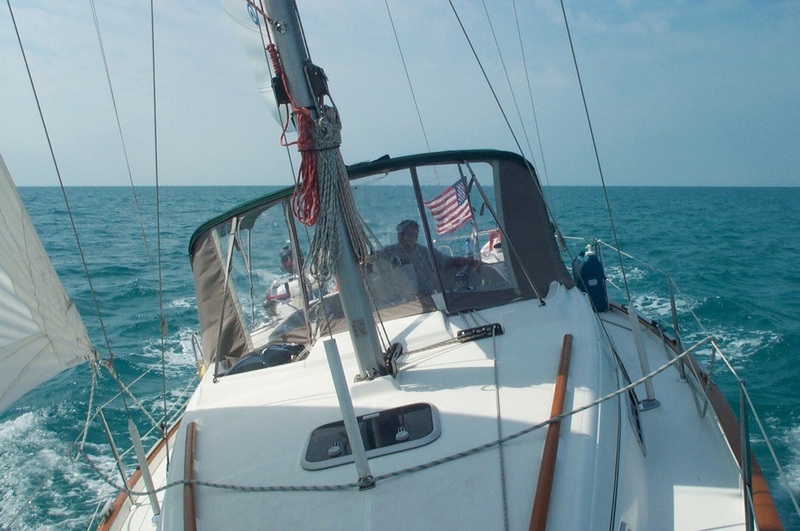 We bought a 1999 Beneteau 36CC sailboat, Orion, and began cruising full time on her. Starting in the Chesapeake Bay and moving farther afield as we gained experience and confidence, we eventually traveled much of the East Coast, going north to Massachusetts and south to the Bahamas and the Florida Keys. Although initially we only committed to sailing for one year, it was a pretty easy decision to continue year after year, since we enjoyed it so much. However, by 2011, we were ready for a change. We weren’t ready to head back to land, but instead opted to try outfitting a smaller sailboat for cruising. We found a 1976 Columbia T26 sailboat, which we named Orion Jr. She had a shallower draft (2-1/2ft) that would let her take us into waters Orion’s 5.2 ft would find much too skinny. As a trailerable sailboat, we could move from one cruising area to another at 60mph, instead of 6 knots, extending our cruising range. After a season of trying her out, we decided it was time to commit to cruising on Jr, which meant selling Orion​ which we did late in 2016.